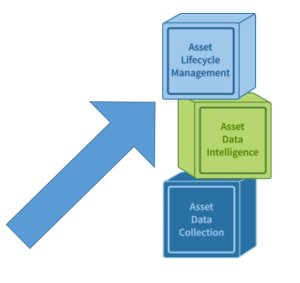 IT Asset Lifecycle Management is Tier Three of IT Asset Management. Tier three is about managing IT Lifecycle Processes. This includes automating your processes to eliminate human error which can occur while doing manual input. It is important to choose automation tools that meet your asset management requirements and that allow you to apply ITAM principles. The State of the asset tells you where the asset is in the lifecycle. The lifecycle process should NOT allow you to bypass States. 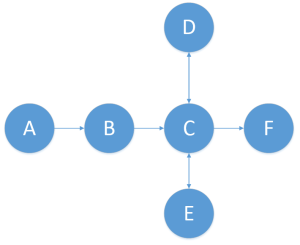 In the diagram below, A can be changed to B, B can be changed to C, and C can be changed to D, E, or F.
In this example, A should not be allowed to jump to C, D, E, or F and B should not be allowed to jump to D, E or F. The method you use to change the State field should be enforced through an automated process. If you rely on manual input to change the State of the asset, there is a greater possibility of human error and as a result, you will very likely lose track of some of your assets. Choose asset management tools that allow you to enforce your lifecycle processes by using process automation. Process Automation for IT Asset Lifecycle Management enforces lifecycle processes by automatically enforcing the pre-determined lifecycle path. When you evaluate tools for asset lifecycle process automation, it is helpful to understand the two types of process automation tools available: In-App Processes and Out-of-App Processes. In-App processes are processes that run within a software tool. The processes are designed as part of a software application or a software suite. They are usually built to support the features offered by the software. A good example of In-App processes can be found in many ITSM tools. 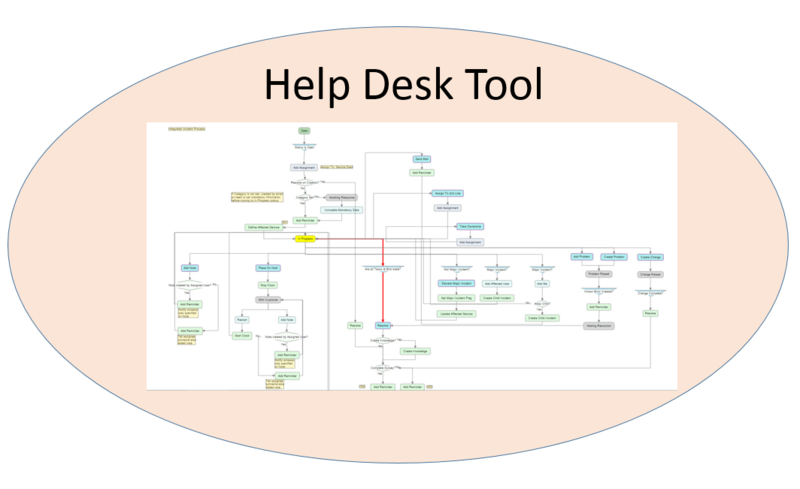 For example, an incident opened by the help desk will have a process associated with it to define how the incident is assigned, escalated, and closed. 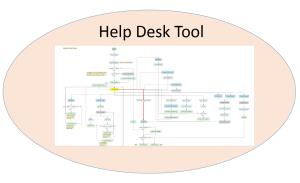 However, if you attempt to do IT Asset Lifecycle Management using In-App processes from your ITSM tool, it might be a challenge since the processes were built to support the ITSM software solution. 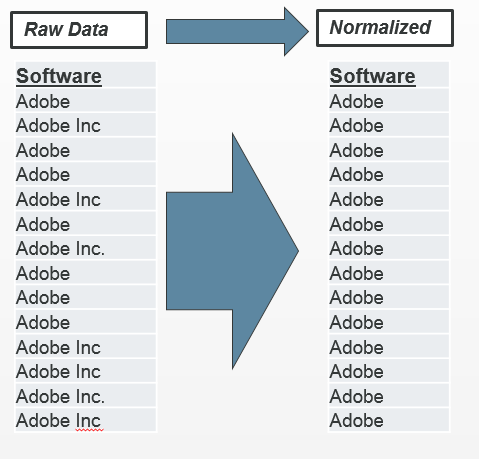 Out-of-App processes are independent of a software tool. The goal for this type of process tool is automation. Out-of-App process tools are much more flexible which means you could build help desk processes with this type of process automation tool; however, it would require a lot more. For example, additional tools would be required to build forms, to build and manage a database, and to build reports. The advantage of an Out-of-App process automation tool is the ability to build automation using multiple databases and software tools within your organization. For example, your organization may build a form on the internal web site to order new printer toner. When the toner is ordered, a process may take the data and automatically update the purchasing department’s database, create a purchase order, and send it to the printer vendor without any intervention. Hybrid-App Process Automation For IT asset lifecycle management, the best solution for process automation would be to have a hybrid of In-App process automation tools and Out-of-App process automation tools. Having both types of process automation tools would allow you to fully automate all your IT asset requests. 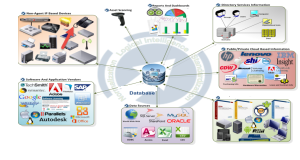 Many organizations use an ITSM tool for IT Asset Request Management. 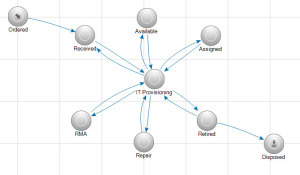 You could automate IT asset request processes from your ITSM tool using your IT asset management lifecycle processes. 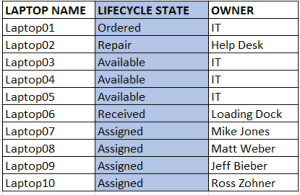 If your asset lifecycle processes are Out-of-App processes, they will not only update the asset management database, they will also update the finance database, contracts database, and create the purchase order. An Out-of-App process can also take a software request made from your ITSM solution and pass it to your software distribution tools, update the Asset Management database, and then notify the ITSM tool that the application has been delivered and installed. I will address asset management and help desk integration in greater detail later this year. IT Asset Lifecycle Management is tracking an IT asset from when it is requested to when it is disposed. 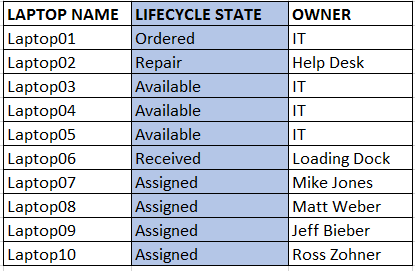 Lifecycle processes will track the State of the asset that is managed by the organization. 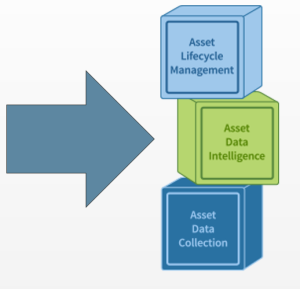 Asset Lifecycle process automation enforces lifecycle processes by eliminating human error. Process Automation can integrate and automate your IT Asset Management tools with other tools on your network. Using a three-tiered approach to implement asset management will help you collect, organize, and manage your assets when applying ITAM principles. IT Asset Intelligence is Tier Two of IT Asset Management. 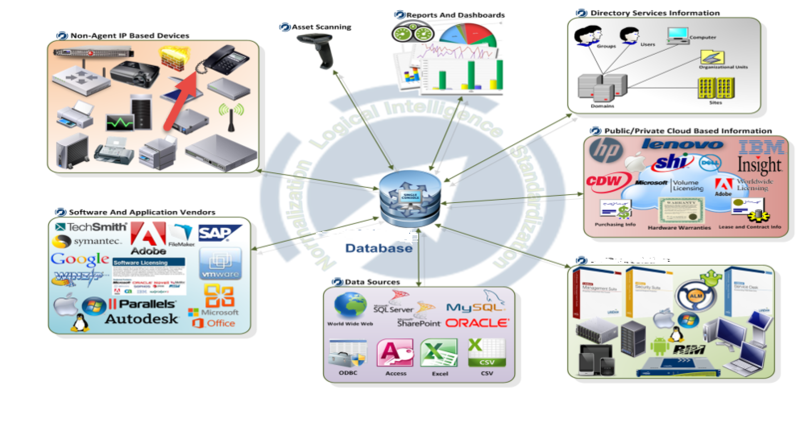 It is accomplished by associating assets with relevant information contained within the asset database and with relevant information contained in external databases, both inside and outside the organization. Three key features are needed to build IT Asset Intelligence: IT Asset Normalization, IT Asset Mapping, and IT Asset Linking. Your Asset Management solution contains asset information provided by manual input, scanning tools and software, and from remote sources such as spreadsheets. To report accurate information, your solution needs to be able to correct the database tables of inconsistencies. Inconsistencies can be caused from errors made during manual input or from inconsistent naming conventions used by the hardware and software vendors. 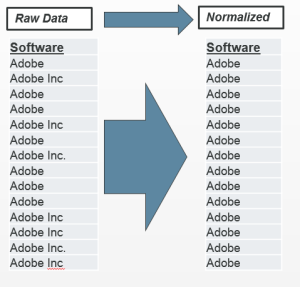 For example, a software vendor like Adobe may use the name “Adobe”, “Adobe Inc.”, or “Adobe Systems.” The company’s name may vary from one version to another, creating an inconsistency. Be sure to account for these inconsistencies for accurate reports. To ensure accuracy in the database, develop a process that will detect inconsistencies as well as correct them prior to reporting. Choose an asset management solution that can provide you with normalization capability otherwise, your expert SQL administrators will have to fix the problems for you, which can be a costly alternative. 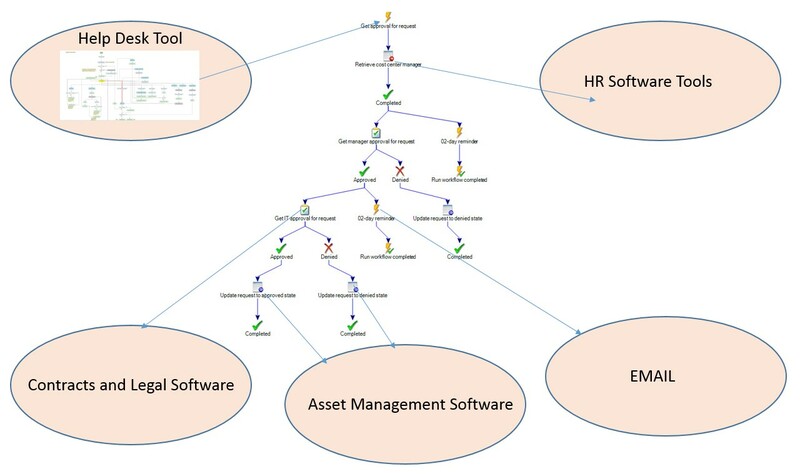 Asset Mapping is critical for Asset Lifecycle Management, which just so happens to be Tier Three of IT Asset Management. 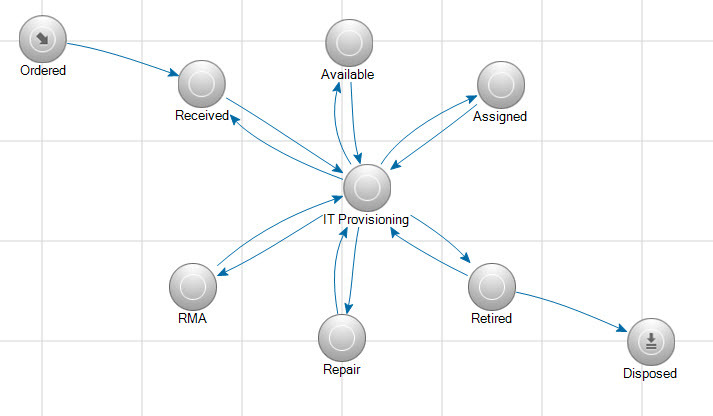 Asset management tools need to be able to map asset information from one table to another. 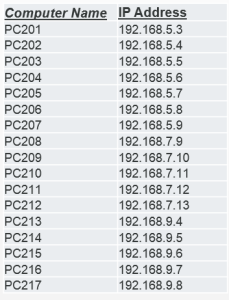 For example, you may have a table that lists the IP address assigned to each laptop. 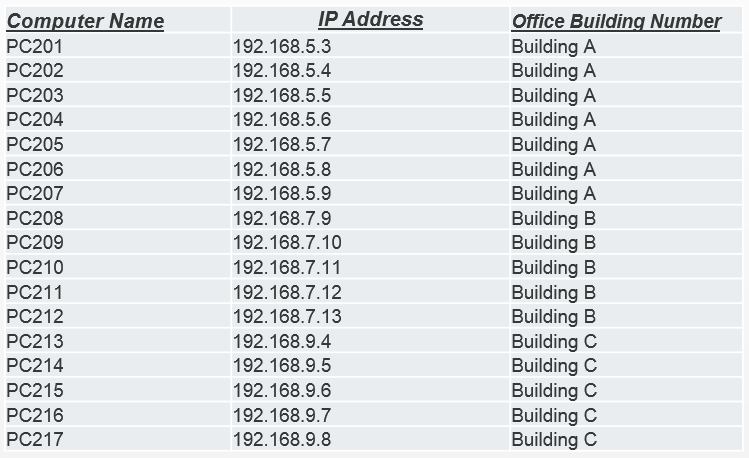 Because you know that IP addresses are determined by the building location, you may want to create a custom table with your building names. 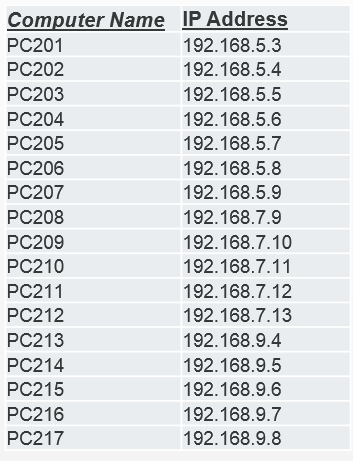 Dynamically map the IP addresses of the laptops to the building name associated with the IP address. 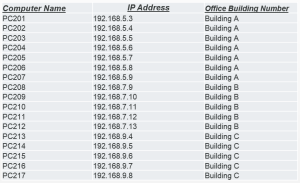 This will then allow you to view laptops located in a given building without having to know the IP address assignment schemes for the buildings. 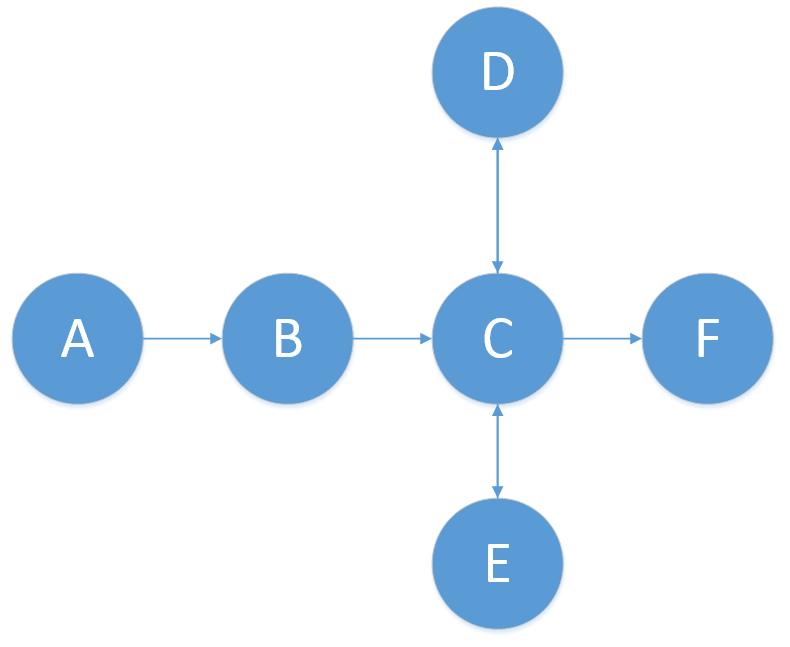 Mapping can also be used to generalize asset information where detailed information is not required. For example, an organization may want to see how many software application licenses they own from a specific vendor instead of viewing the name of every software package. Remember, mapping to custom fields is critical since not everything can be scanned and asset management vendors cannot anticipate everything you may want in your asset management solution. For example, there may be executives in your organization that have a flat screen TV in their office. The TVs are not scanned by network scanning tools and most asset management systems do not have a field for TVs. To manage the TVs in your asset management solution, you need to be able to add a custom field, name the field accordingly, and then map it to the executive or to the executive’s department (another custom field) in the asset management solution. 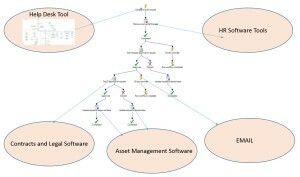 Mapping allows you to see your IT assets, and anything that relates to the IT asset. An even greater benefit of mapping is the ability to map assets back to the user who is accountable for that asset. A goal your organization should have is to be able to see the user and all the assets they use. If you are unable to see what IT assets a user has, then you are at greater risk of losing track of the asset when the user moves within the organization or when the user leaves the organization. The properties of an asset can include information that might be stored in an external database within your organization or even outside your organization. For example, the contract information used to purchase software licenses might be stored in a database used by the legal department. In this scenario, it would not make sense to duplicate the contract inside of the asset management database. Duplicating the contract would raise concerns for a document management system, often used by legal departments. Much like IT assets, legal documents and versions have to be tightly managed. Therefore, a link should be provided within the asset management database that points to the associated contract. That link could be a document number, document name, or some other identifier that a system uses to identify individual documents. Asset linking can also be used to connect to your End-User License Agreements (EULA). For example, your asset management systems should be able to communicate with Microsoft over the internet to obtain the total amount of software entitlement licenses your organization owns for a given software package. In turn, it should then be able to compare the amount of licenses owned to what is installed within the organization. The results of these findings would then be available in a report created by the asset management system. Hopefully, if your asset management database allows for custom fields, you will be able to create a field for “cost.” Then you can map that cost to a license enabling you to get true-up costs or over-licensing expenses. If your asset database is accurate, and your asset mapping and asset linking designs are developed in advance, you will have an intelligent view of all your IT assets, asset users, asset licensees, asset purchasing information, and the asset costs throughout their lifecycle. Most important, when Tier Two of asset management is designed properly, Asset Lifecycle Management at Tier Three will be much easier to implement and follow. Why should your organization embrace social media? When organizations underestimate the power of social media, they put themselves at risk. They also miss out on a much more efficient way of supporting their users and customers. Social media offers a way for an organization to better understand their customers and competitors. Social media is a great way for companies to communicate with their employees. 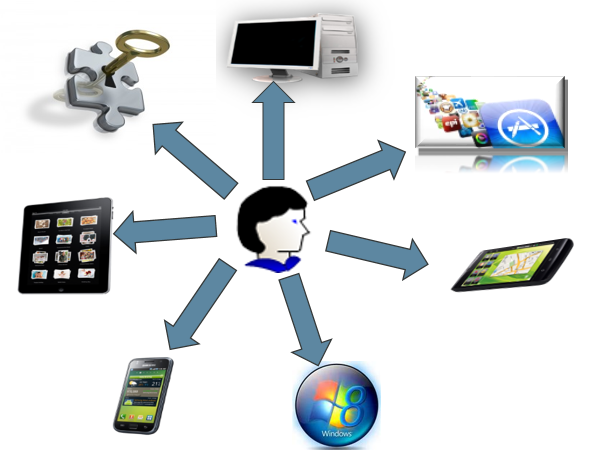 IT Support and company email are services that should be evaluated to see how social media can enhance those offerings. My kids came out to visit me for Christmas last year. When I dropped them off at the airport, I paid for all their bag fees. Unfortunately for me, they decided to fly one of two airlines that charge for “carry-on” luggage. My daughter logically put her iPAD with its case inside her larger carry-on roller bag so that we would not be charged for two bags. While at the gate waiting for her connecting flight in Denver, my daughter pulled out her iPad and used it. When the flight began to board, the gate attendant demanded $100.00 from my daughter because she accused her of hiding her bag inside another bag to avoid bag fees. Because she didn’t have the money in her account, they left her in Denver. Yes, they left her. Then, they offered her a hotel in Denver and put her on the first flight the very next day without charging her any additional fees. USA Today printed the story. The world we live in today empowers the individual as never before. Social Media is the world’s soap box and anyone can listen. Organizations that offer services to customers have to monitor sites where users go and provide feedback to the whole world about their experience. One bad complaint can cost your organization a lot of money if it gets out of control. How much money did it cost the airline? More than the value of a ticket I imagine. Organizations can embrace social media by extending customer support responsibilities to monitor social media sites. When negative comments are posted in open forums on social media, customer support should respond with empathy and a willingness to make things right. Although I was not impressed with the airline, I was impressed with how quick they responded to tweets that were posted at #”The airline referred to in USA Today” on Twitter and on their Facebook page. Organizations need to expand IT Support to internal social media forums. There is so much to learn from user comments. For example, a user may post “my laptop crashed again today” or “is anyone having trouble accessing the internet”, or “Why is email running so slow”. Users make observations which don’t always equate to opening an incident but when you observe, you may find there really is a problem. For example, you might see a comment by several different users regarding a perceived pause or slowness to email and the internet. Upon further observation, you may realize these comments are posted between 8:00AM and 9:00AM. With this knowledge, you may find there is a problem that needs to be addressed. Observing comments is also a good way to evaluate the tools you have provided to your employees. They may not like the new laptops your are providing compared to the old laptops, and their comments will tell you why. Social Media is commonly looked at as a distraction or anti-productive app used by employees while on the clock. I believe to counter this, companies need to figure out a way to be a part of the user’s social media experience. To start, if your organization offers customer support, you need to monitor social media posts that mention your company. Also, I think organizations should begin to explore how their ITSM tools can be extended to Social Media. When ITSM social media solutions are worked out, organizations should then consider categorizing their email communication and where it makes sense, move certain types of communication to an internal social media page. Shadow IT refers to IT devices and applications that an organization does not track or manage. In many cases, the organization does not even know these devices or applications exist. Furthermore, they cannot audit and track how these assets are being used. Is it costing my organization money? Gartner once estimated that 35% of enterprise IT expenditures will happen outside of the corporate IT budget in 2015. However, there are organizations that believe shadow IT actually reduces costs. Projects that use Shadow IT increasingly have the resources and bandwidth to build solutions on their own and can deliver them much faster. Thus reducing the budget that would otherwise be required for overall IT expenses. In other words, some say it is a wash.
Are there many risks created by shadow IT? Let’s start by looking at the top security breaches in 2014 so far..
145 million customer names, encrypted passwords, email addresses, physical addresses, phone numbers and dates of birth. The breach is thought to have affected the majority of the company’s 145 million members. The company said up to 2.6 million payment card numbers and expiration dates at Michaels stores and 400,000 at Aaron Brothers could have been obtained in the attack. A former advisor used a thumb drive to obtain Social Security numbers and other details on 774,723 of the company’s customers. Texas wine retailer’s network resulted in the loss of information of as many as 550,000 customers. Hackers got away with customer names, debit or credit card details, card expiration dates, card security codes, bank account information from checks and possibly driver’s license numbers. Approximately 405,000 former and current patients’ and employees names, Social Security numbers, dates of birth, medical information and, in some cases, addresses and bank account information. When business processes are not under the control of a centralized IT or IS department, there is an increased risk that shortcuts will be taken, security procedures will be overlooked, and at least one or more of the security standards your organization adheres to will be compromised. If we embrace Shadow IT, what Security Standards could we break? The bottom line is that you can’t secure something you don’t know about. It’s time for organizations to implement IT Asset Management processes. I suggest a three tiered approach which I will discuss in an upcoming blog. In light of the recent announcement and release of the iWatch from Apple, it appears that all the major mobility players now see the market potential for mobility wearable’s. I’m not talking about reading your messages or getting the scores from your favorite team. I’m talking about your health. Wearable mobility devices will eventually be a key part of every consumer’s physical and mental wellbeing. I predict these devices will change the way health care is provided as we know it. About six months ago, I was horrified to see the scale hit 232lbs, the heaviest I had ever weighed. I consulted with a friend who had recently lost a lot of weight. He introduced me to a mobility wearable device and pointed out some apps for my phone that communicate with my wearable device. I also purchased a scale that would keep the apps up-to-date with my progress. The concept is simple, burn more calories than you eat. Using an app on my phone, I would scan each item of food I consumed. I became aware of the calories that I was eating and the app told me how many calories I was burning based on what my wearable mobility device was reporting. In four months, I hit 203lbs and changed my body mass index from 32% to 27.5%, still considered overweight but I am going in the right direction. The app on my phone monitored my activities, personalized my goals based on my personal information and my progress reported by the scale. It also would alert me when I reached my goals, or if I was short on my goals. • More than 1 in 20 adults are considered to have extreme obesity. Over the next decade, we should expect to see school children wearing mobility devices. Information gathered by schools and parents will effect decisions about their schedules and activities. Imagine if a child starts a fever while in school, not only will these devices record the information, they will notify the teacher and the parent. We will see these devices notify someone who is about to have a seizure, a heart attack, or maybe even a stroke. For those with Diabetes, they will be monitored and alerted when blood sugar levels reach dangerous levels. The future of wearable mobility devices will one day become an essential part of our lives by monitoring our progress, personalizing our health profiles, and proactively warning by alerting us about actions that need to be taken in order to avoid a health problem. How will companies manage these devices? Integration with mobile devices like tablets and phones, and integration with IT infrastructure will be required for authentication and identification. Security will be a critical component for protecting the detailed personal health information of each individual using a device. The ability to manage inventory and the lifecycle of wearable mobile devices will also be important. Nobody wants disposed devices to contain personal information. The adoption of mobility wearables will be driven by the health problems they will solve in the near future, not the features that we can already get with our phones and tablets today.